Busy week in the world that is Islander fandom. 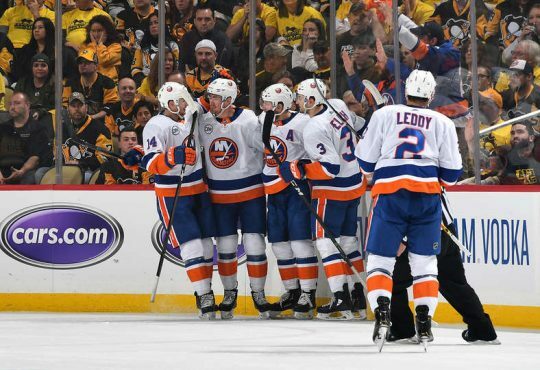 Okposo’s eye has been the talk of the town, the Isles just suffered their first 3 game losing streak of the year, and people are starting to edge closer to the window, all while the team is still in 1st place…. For starters, I put on my little blogger’s cap and did my homework, and after a quick trip to WebMD, I can confirm that this doesn’t mean at any point KO’s eye was indeed hanging out of the socket. It is actually a problem one can live their daily life with and not know of it without knowledge of its symptoms. In fact, judging on Capuano’s quotes, which are now rightfully put into context, it seems that the injury may have been something Okposo was playing through. 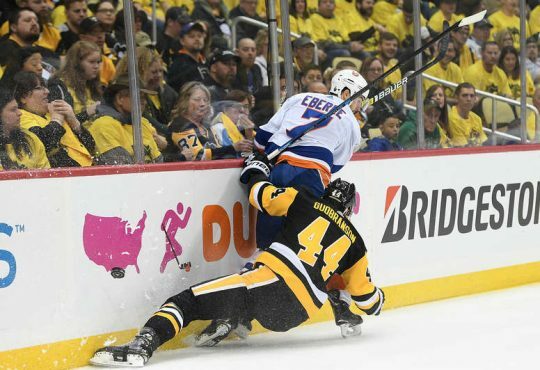 Suggesting this injury wasn’t a freak accident that left Okposo in the ER and emergency surgery. Instead, was a nagging injury in which the team, Kyle, and his physicians decided needed to be fixed now rather than later, as time is always a factor when it comes to treating an injury of this nature. It’s tough to see an injury that was most likely being played through go on to end a career, but again, I am no doctor, and eyes are probably the second most important body part in the game of hockey, right there behind fists. Undoubtedly, this is a scary injury for one of the team’s best, but I am not losing sleep over Okposo’s future with the team. The topic of a lot of conversations around the Island for the past two years, Josh Bailey is one of the more interesting careers in my eyes. I see Bailey’s $3.3M/year contract as a long-term investment out of Garth Snow. It’s hard to argue that Garth didn’t know what he had on his hands a few years back, with the rebuild in full force. 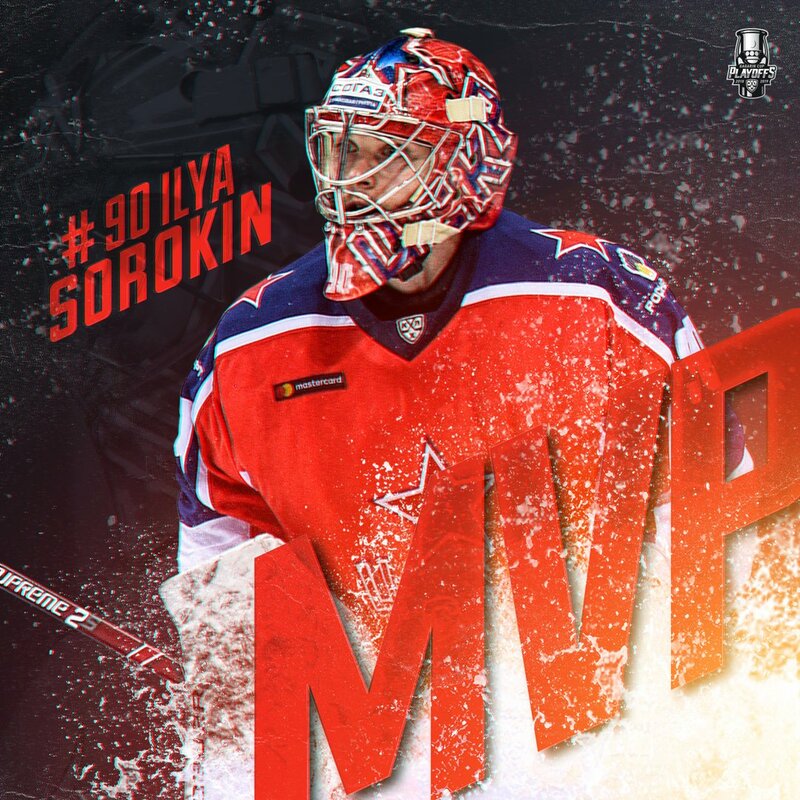 Seeing Garth’s first ever 1st round draft pick possibly walk, and suggest to the league that players weren’t buying into his system from the get go could have been disastrous so, much like with Grabovski and Kulemin this past summer, we saw Garth overpay in order to have a player buy into the system. Bailey isn’t a $3.3M/year making 1st line Winger, he is a stop-gap until the correct player is made available, be it on the open market are in-house (Read: waiting game for MDC or Ho-Sang). Similar to what Nabby was prior to Halak. Everyone knew Nabby wasn’t the goalie to take the Isles to the next level, but the goalie that will take them to the goalie, which will take the team to the next level. Same goes for Bailey on the 1st line; it’s not a long-term role for #12. He is a marginally overpaid mid-6 Forward, who is a strong possession player and is improving his two-way game during his time with JT. Does he deserve praise for what he has done on the Island? No. Does he deserve the level of hate in which fans throw at him? No. 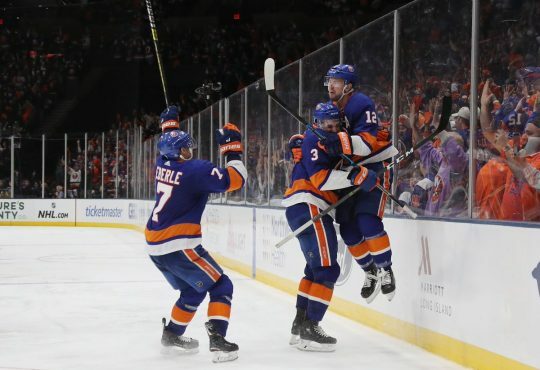 Can we talk about Anders Lee? 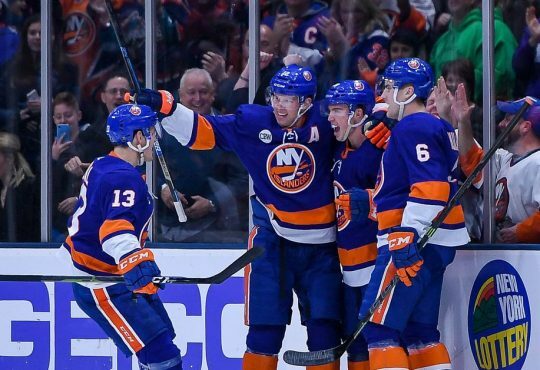 Currently leading the team in Goals/60, Anders Lee has taken his first 70 NHL games by storm, and has done it ever so quietly. With 25 goals in his first 68 NHL games, Lee has provided a subtle scoring touch since day one. Keep in mind; this is the same Anders who scored on his first NHL shot, chalk that up to luck or to him being the next great-one, your choice. His 15 goals have him 3rd (8th in points) in the league among rookie goal-scorers, and his presence alongside Ryan Strome and Brock Nelson has created one of the deadliest young lines in the league. Lee has quietly been having a dominating year, while averaging just 12:39 a game, and along with Strome and Nelson, these three will make up a major portion of this team’s secondary scoring for years to come, barring the Islanders make a move to retain Lee long-term, as he is facing RFA this coming summer. I would expect a deal to get done, as Lee is not a player a GM could let go, it is just a matter when it happens. For more of my unsolicited thoughts, follow @IslesBlog on twitter.